Local Lotto is a great way of supporting local causes at very low cost, with the chance to win a generous weekly prize. For every £1 you spend, the Friends of St John’s receives 50 pence with 10 pence going to other worthy local causes. Use the link below to buy a ticket from the comfort of your own home by searching for ‘Sharow’ as your choice of worthy cause. Yes – Local Lotto!! Well why not? 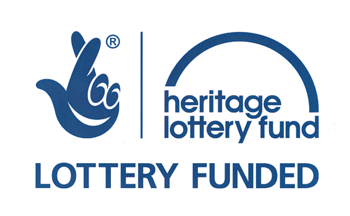 The Local Lotto is promoted by Harrogate Borough Council to support ‘worthy causes’ – and we have been selected on merit as such. For less than a cup of coffee a ticket @ £1 looks good value particularly when we get 50p for every £1 ticket purchased (10p goes towards other good causes, 20p for administration and the other 20p towards prize money) … but it is of course dependent onall of us buying tickets. Please do give consideration to this project – your support will be very much appreciated. Your neighbour might like to know about this initiative too. It is extremely easy to buy a ticket just go to www.thelocallotto.co.uk, select St John’s, Sharow as your ‘worthy cause’ and away you go. You can use your own 6-digit number or they will select a number for you. You can buy one ticket or as many as you like on a monthly basis or annual basis – we get 50p for every £1 spent. There is a weekly draw and generous prizes awarded. This is an extremely easy way to support St John’s from the comfort of your home and creates an important income stream to help with the upkeep of the graveyard and our new car park – from regularly cutting grass to hedge cutting – both these areas are community assets and do need regular maintenance for the benefit of all; but there is a cost in this upkeep so please help to meet this cost, if you feel inclined, by buying lotto tickets.